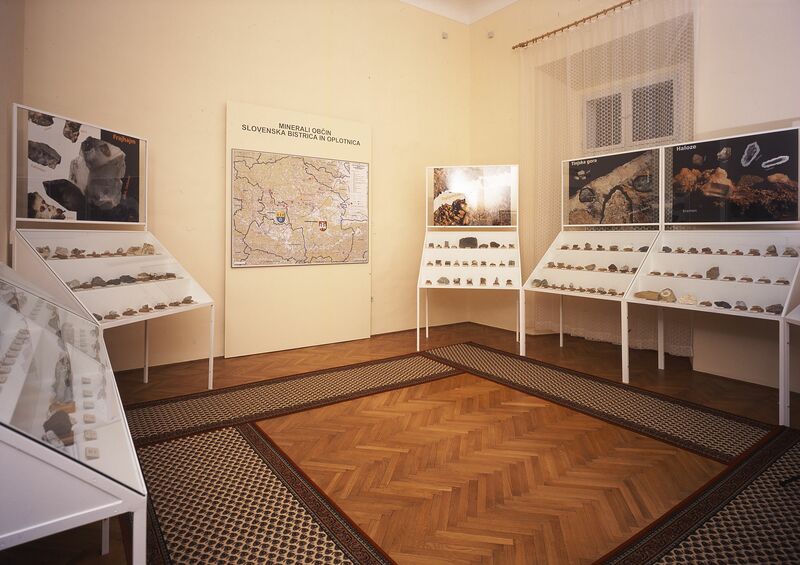 Celeia Poetovio Roman Road Exhibition provides information about Roman roads in general (model), while also focusing in more detail on the Roman road found in the Slovenska Bistrica municipality (from Spodnje Grušovje to Gaj pri Pragerskem). The Anton Ingolič Memorial Room (*5th January 1907, Spodnja Polskava, †12th March 1992, Ljubljana) preserves the memory of the famous writer, who was born in the Slovenska Bistrica municipality. It contains more than 2,500 books from the writer’s personal library, furniture and other equipment from his study, and original manuscripts of his books. 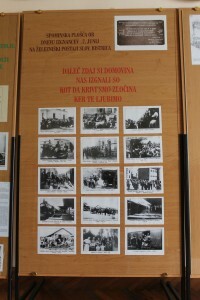 The exhibition provides a glimpse into the life and work of the famous storyteller, writer, and theatre director Jože Tomažič from the village of Tinje. Along with books and photographs, the collection also includes some of his rare paintings. 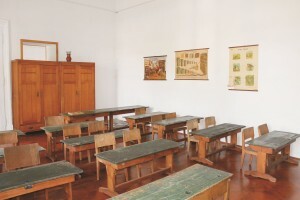 An old schoolroom is also part of the collection, containing the typical furniture from the middle of the 20th century. It hosts various workshops. Flag Room with documents of deportations contains flags of Partisan veterans’ associations and other associations and societies from the recent local history, while also containing material relating to people from the municipality of Slovenska Bistrica who were deported or sent to camps. 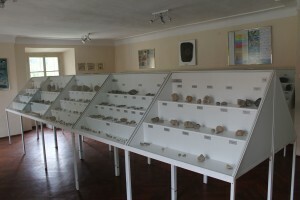 Pajtler’s Fossil and Mineral Collection, which is named after the late collector Franc Pajtler, is set up in two rooms: the first one contains a systematic display of fossil finds, while the second one contains various minerals, including the Mikl-Vojsk collection. Approximately 1,600 items are displayed. This exhibition provides a glimpse into the rich world of minerals found in the area around Slovenska Bistrica, which is unmatched anywhere else in Slovenia. 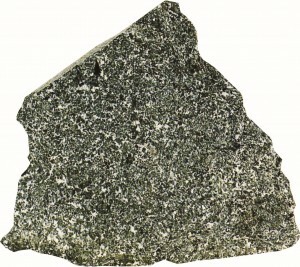 Included are minerals from municipalities of Slovenska Bistrica, Oplotnica, Poljčane, and Makole. According to the available research and information, this area boasted 15 identified mineral species in 1835, 20 in 1885, and as many as 24 in 1995. In 2003, the number of identified species exceeded 70. The exhibition includes 36 rock specimens which are typical of the Pohorje range (igneous, metamorphic and sedimentary rock). 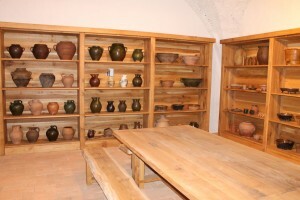 The collection is the only one of its kind in Slovenia. 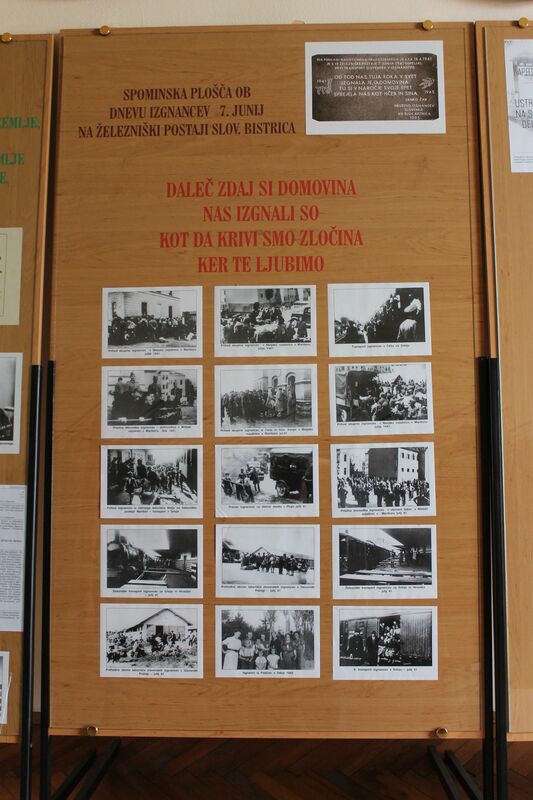 It was developed by Dr. Peter Mioč, while the items were collected by Franc Pajtler and prof. Vili Podgoršek. 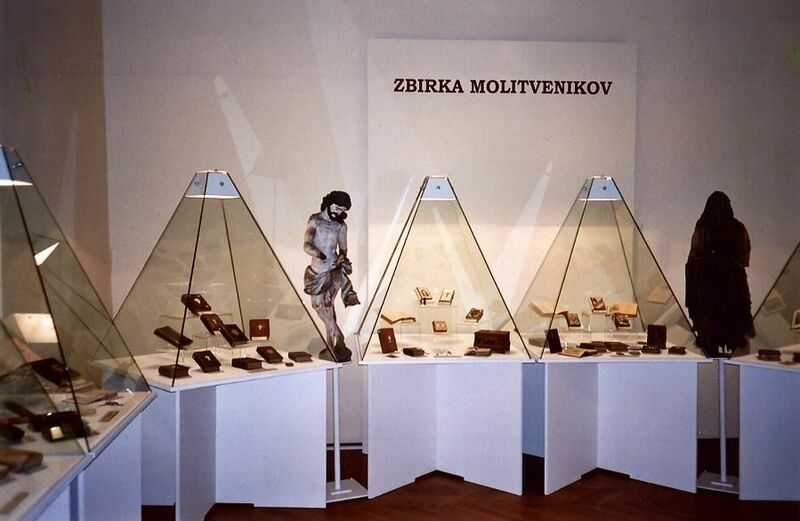 The collection is property of the Slovenska Bistrica Cultural Institute. Prayer Book Collection includes items from Slovenia and abroad. There are more than 90 prayer books displayed, some of them very old. 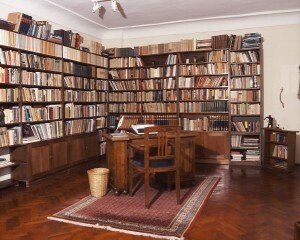 The entire collection, however, is much bigger, containing more than 450 prayer books. 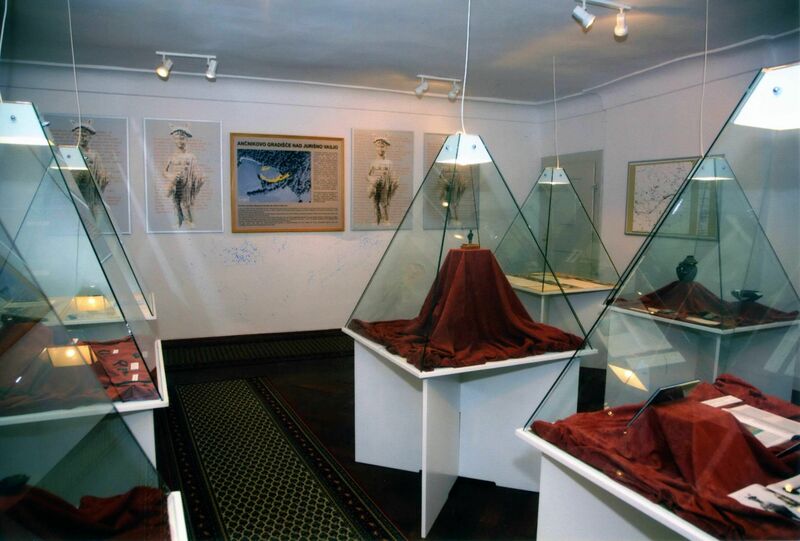 The exhibition also includes various religious publications and other interesting items. 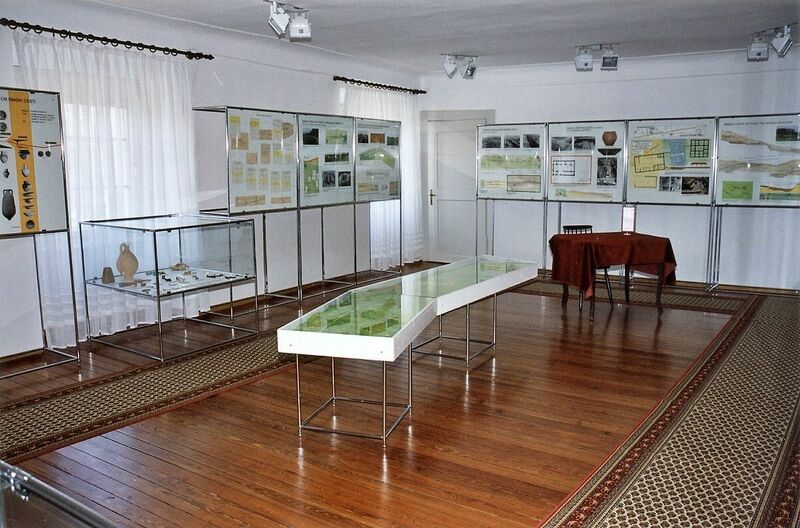 The material, which was collected by Franc Pajtler, is now property of the Slovenska Bistrica Cultural Institute. 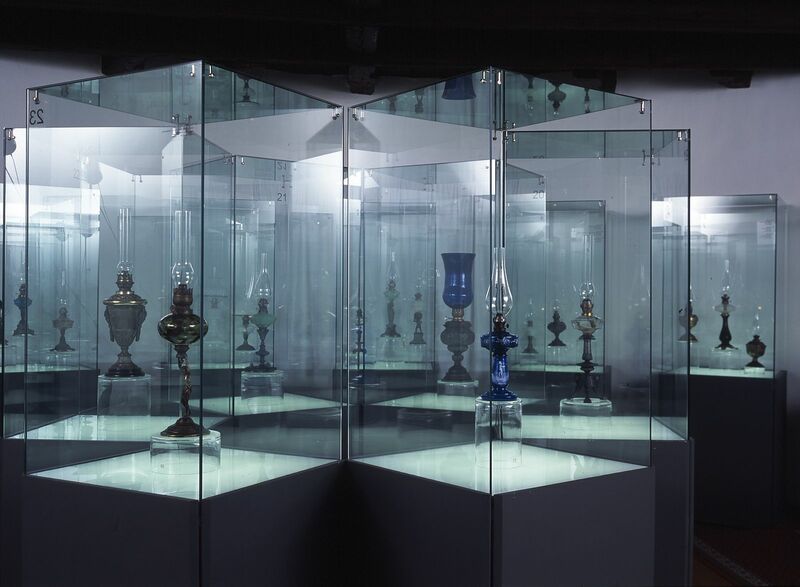 The exhibition Oil Lamps throughout Time contains more than seventy oil lamps, paraffin lamps and individual component parts which depict the development of lamps from the oldest specimens to modern lights. This excellent collection serves as a clear overview of the evolution of lamps and our attitude towards light in general. 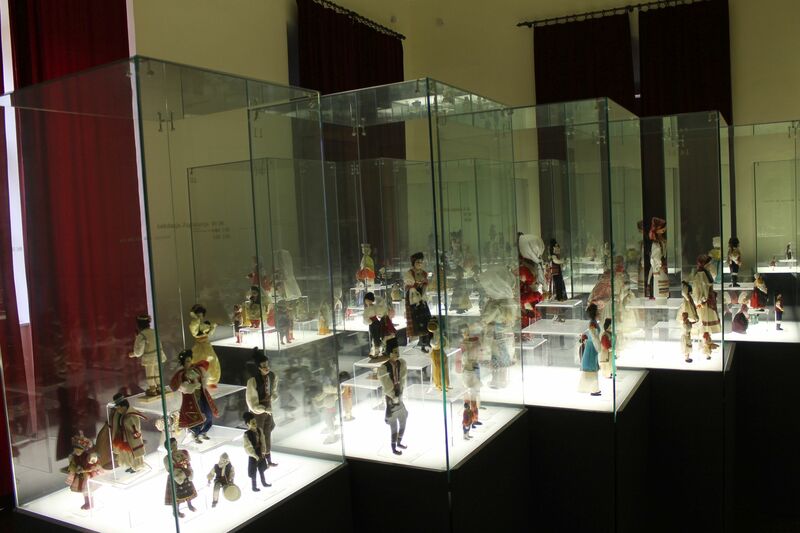 This exhibition, which was donated to the Slovenska Bistrica Cultural Institute by Zora Tomič, contains more than 280 items from all over the world; displayed are dolls and souvenirs from 43 countries and all continents except Australia. The collection also includes UNICEF plates, which further increases its significance. The ancient fort of Ančnikovo Gradišče in the village of Jurišna vas on Pohorje is one of the most important archaeological sites in the municipality. Archaeological finds from this site indicate that a settlement was established at this strategic position as early as the 4th century, while another hamlet was built on the ruins of the original settlement in the Early Middle Ages (6th and 7th century). The collection contains various interesting remains from this archaeological site. The two rooms contain objects which tell the story of the well-known plastic surgeon from Slovenska Bistrica, Dr. Zora Janžekovič, and her great love for old furniture, artistic paintings, porcelain, etc. The displayed items range from the second half of the 19th century to the present times; all of them were donated in 2011. This collection of ethnological objects is named after Miljutin Arko, since it was his enthusiastic fieldwork that made it possible. 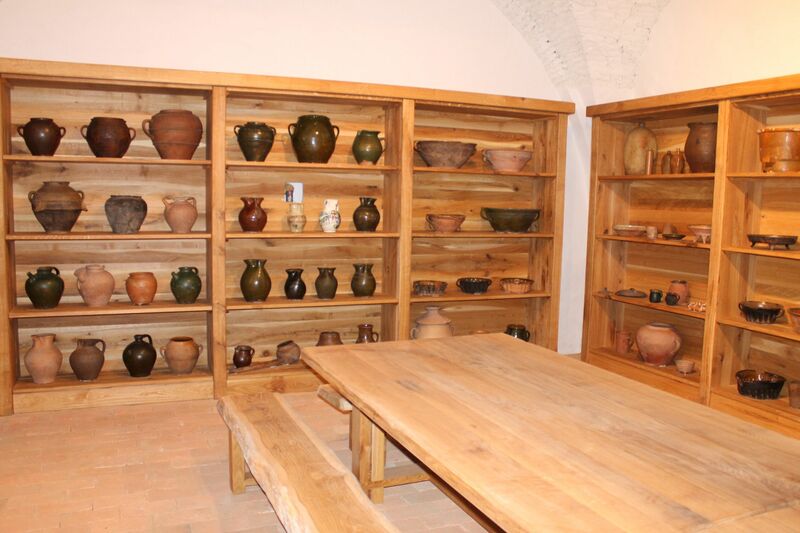 The items originate from the municipality of Slovenska Bistrica and the Pohorje region and date back to the end of the 19th and the beginning of the 20th century. The collection consists of two parts. The first one has a new look and is displayed in the Souvenir Shop. Together with the shop’s interior design, the items represent a symbiosis of the everyday and the festive. 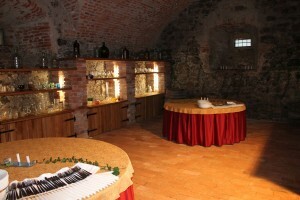 The second part is displayed in the Wine Cellar. The room primarily serves as a venue for wine tasting of local wines. 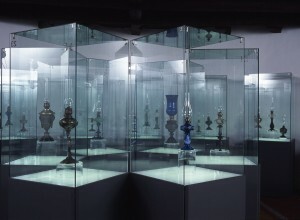 But it also contains select traditionally manufactured glass artefacts, which had been collected by Franc Pajtler, along with ceramic objects from Arko’s Ethnological Collection. 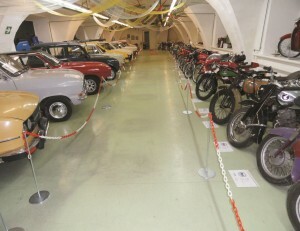 Cars, motorcycles and mopeds are displayed in the larger room, while the smaller one contains old bicycles. Various tools and other technical objects complement the collection of vehicles. The exhibition illustrates the progress from the first bicycles to motorized modes of transportation. There are numerous other cars, motorcycles and various interesting objects still waiting to be restored and displayed. 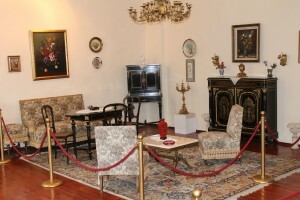 All the items are private property of the members of the club.